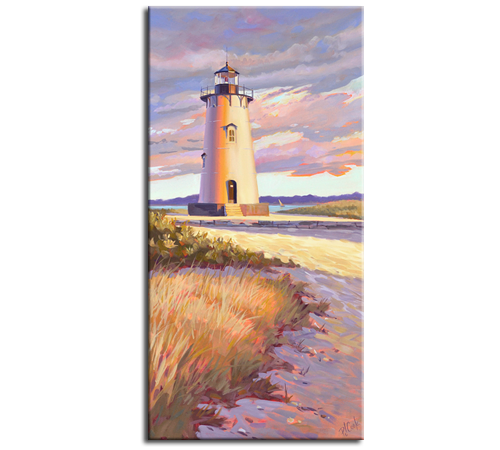 Late day sunlight adds to the glow in this original oil of the Edgartown Light on Martha’s Vineyard. Pretty violet colors throughout the clouds and shadows. Sand dune grasses lead your way to the lighthouse steps. A distant sailboat is catching the evening breeze in the background. Custom picture frame is included in the purchase price. Striking scene from the waters-edge is a one of a kind original painting. 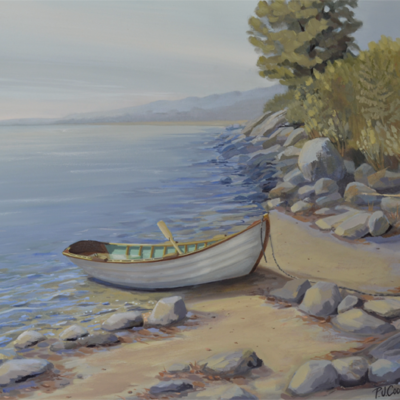 Artist Notes: This waters-edge painting is an original work of art by PJ Cook. Original oil on canvas in a 18″ x 36″ size. Professional materials used throughout. Thick, wood frame is included with purchase. This Edgartown Light oil is signed by the artist front and back. Thank you for your interest in my original art and please contact me with any questions. Living by the sea year round has inspired P.J. 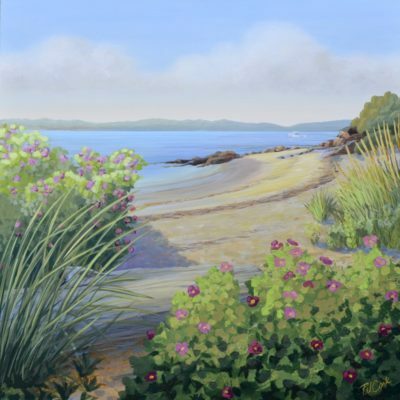 to paint the rolling surf, shorebirds, and the ever changing skies found along the coastline. P.J. 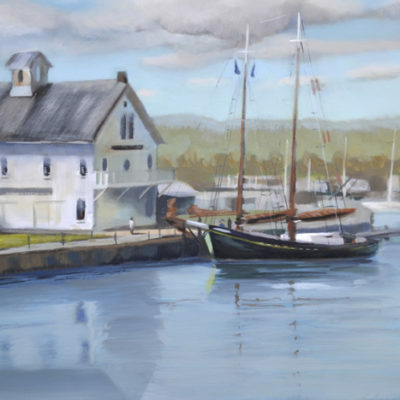 spends her time in Old Lyme, Connecticut on the shores of Long Island Sound and during the winter months she can be found painting along the southeastern coast of Florida.